Home Network Comparison EE Vs Three: Super-fast 4G speeds or unlimited Netflix streaming? EE & Three are two of the largest mobile networks in the UK and are 2 of the 4 networks that have their own network infrastructure. EE holds the gold standard when it comes to coverage and speed but Three offers several perks such as free roaming in destinations all over the world & unlimited data usage on popular apps such as Netflix – providing amazing value to customers. Read on to find out what is offered by both networks, how they compare and which network is right for you. Three mobile coverage also covers 99% of the UK population with its 4G coverage and its data speeds are only second to EE. That’s not all. Three has several wonderful features that help it stand out. These features include 71 roaming destinations with their ‘Go Roam’ proposition & unlimited data usage with popular applications such as Snapchat & Netflix. To learn more about Three check out our detailed network review Three Review 2019. To see the latest deals from both Three & EE click here. Alternatively read on by selecting from the contents below to find out how EE & Three compare in each of our categories. EE offers great coverage and exceptionally fast 4G data speeds. EE has 99% 4G population coverage. They are also aiming to cover over 95% of the UK’s geographical population by 2020. To support their great coverage they have won Root Metrics award for the best network coverage for the last 5 years in a row. EE is renowned for providing the highest 4G speeds in the market. Open Signal’s 2018 testing reveals that EE offers the best average data speeds of 29 MB/s. In terms of network coverage Three also offers 99% population coverage so you shouldn’t have any difficulties connecting wherever you are in the UK. 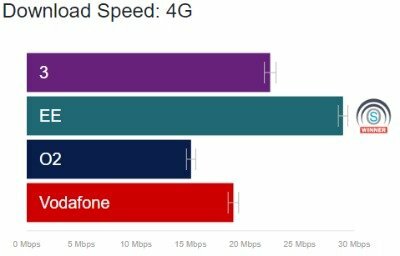 Despite this Three comes in second to EE for 4G speeds. Per Open Signal, the average speed offered by Three is 23 MB/s. Network coverage is comparable between the two networks but when it comes to data speeds EE is the clear winner with speeds unparalleled in the mobile market. Per the results of P3 communication’s latest tests, EE has performed ahead of its competitors for voice quality. Per their data, EE had short connection times as well as the high-quality audio. A lot of this is down the great investment that has been made by EE into their 4G network & the seamless switching between Wi-Fi and 4G calling. With constant efforts being put into 4G networks, this feature is only expected to get better. Although one thing to note is that this offer is only for pay monthly customers and not offered on PAYG. Three came third in P3 communications comparison of the top 4 networks voice call quality. Generally speaking, you won’t have any issues making a call on the Three network but you may see slightly longer call set up times in major cities. Three also has 4G super voice which is designed to offer better indoor coverage than regular 4G. You won’t have problems with either network when it comes to call quality but EE edges this as it has faster connection times and slightly clearer audio according to recent tests. Most smartphones now offer to capability to turn your mobile device into a small Wi-Fi hotspot to connect nearby devices to the internet. This is known as tethering. Sometimes networks can limit tethering as it leads to heavy data usage and reduction of network space, which eventually slows the network down. Fortunately, EE doesn’t restrict its tethering to any plans. With either a pay monthly or PAYG plan, you can tether your data as much as you want. With the EE network, you can rest assured that you are able to tether your handset and connect any additional devices. However, it’s important to remember that tethering will cause your data to run down faster than usual. As a result, we recommend checking EE’s out of bundle charges. Tethering is available on Three but only on Three’s advanced pay monthly phone or SIM plans & any PAYG plans. With Three there is no limit to how much you can tether – if you have an unlimited data plan you can tether all your data if you wish. EE comes out on top here as they offer tethering on all of their plans. EE’s inclusive roaming is the standard 48 EU destinations. This is a result of the EU regulations change of 2017, all existing EE mobile pay monthly and PAYG mobile customers can use their UK allowance overseas. They can roam to 48 European destinations including Monaco, Switzerland and Spain. For the customers with 4G EE Max plans (premium plans), EE offers additional 5 roaming destinations which are USA, Canada, Australia, Mexico, and New Zealand. With 4GEE Max plan, you can utilize your data allowances as well fastest speeds to call, text and use data in 53 destinations worldwide across Europe. Moreover, with data caps and best-in-class usage alerts, EE makes sure that its customers are always in control of their expenditure. Three “Go Roam” proposition offers access to 71 roaming destinations. If you are a Pay Monthly or SIM Only customer with a data allowance off 19GB or more, you can use data up to the limit of 19GB on Go Roam within Europe. On a PAYG plan, you can use data up to the limit of 15 GB. Whereas, for other pay monthly plans with more than 12GB of plan usage you can use up to 12GB of data to roam. Essential plan customers however can only roam in the EU. Three also now offers a Data Passport. With this offer, you can use unlimited data in over 89 destinations by just paying £5 per day. EE offers great international roaming packages Three gets the win here due to the number of inclusive roaming destinations. The ‘Go Roam’ proposition offered by Three provides roaming access to 71 destinations across the globe. 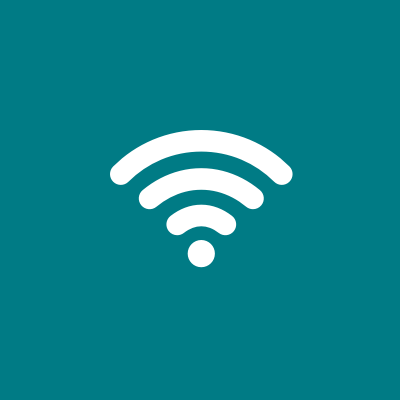 In locations with poor network coverage a Wi-Fi network can be used to make a voice call instead of your carrier’s network connection. You can use the Wi-Fi connection at your home or the Wi-Fi hotspot in a public location to make a Wi-Fi call. EE offers a good Wi-Fi calling service on compatible devices. However, this is currently only offered to pay monthly customers and not available if you are a PAYG customer. In terms of Wi-Fi hotspots EE only offers Virgin Wi-Fi on the London Underground. This provides customers with around 250 stations to connect to while travelling on the London Underground. Three’s Wi-Fi calling service is simple and automatically uses Wi-Fi to make calls in poor network coverage areas. The service is also not limited to certain customers and both pay monthly & PAYG customers have access. Three offers the same Wi-Fi hotspot access as EE with free access to Wi-Fi hotspots on the London Underground. Wi-Fi hotspot access is identical but Three’s simpler and more widely available Wi-Fi calling proposition gives it the edge. BT Mobile offers its customers over 5 million free Wi-Fi hotspots nationwide – Read more in our detailed BT Mobile review. Data Rollover rolls-over your unused monthly data to the next month. Once the data is added to your next pay monthly plan, you get a second chance to use it. EE offers Data rollover only to the PAYG customers. These customers are required to use their rolled over data within 30 days of the rollover. Unfortunately, Three doesn’t offer data rollover on any of its plans, any data you don’t use in the month is lost. However, SMARTY is a recently launched network which gives you money back for the data you don’t use. Check out our detailed SMARTY review. Neither network performs great in this category but EE takes the edge with PAYG data rollover. Networks have begun to offer family plans with discounts to incentivize customers to join up their family & friends. With EE, you can get discounts on further plans you buy on your account. This discount enables you to get a 10% discount for adding another handset, SIM plan, or broadband deal to your account. Alternatively, you can use ‘Data Gifting’ when you have several pay monthly plans on a single account. This allows you to share your unused data with family members, this is particularly useful if you have some family members that tend to run out of data quickly. Three has launched ‘Existing Customer Offers’. These include discounts on Phone and SIM only contracts. You can save up to £5 each month on certain pay monthly contracts. For iPhone contracts, you can save £3 a month whereas on Samsung and Huawei contracts, you can save up to £5 per month. In terms of SIM only offers, you can save up to £1-£2 each month. Both networks offer strong deals here – we recommend checking out their site to see which family plan would save you more money. Customer rewards are now being offered by a number of networks to differentiate themselves from their competitors. EE are fairly limited with their customer rewards. They fall behind in this category in comparison to several the other larger networks. O2 & Vodafone for example both have reward applications with Priority & VeryMe rewards which offer customers discounts and free gifts. However, if you are an EE customer & you sign up for a mobile broadband deal you can get an additional 5GB of mobile data allowance. Three on the other hand has the Wuntu app to provide rewards and offers to their customers. It partners up with different brands to bring you an amazing discounts and freebies with several popular brands. 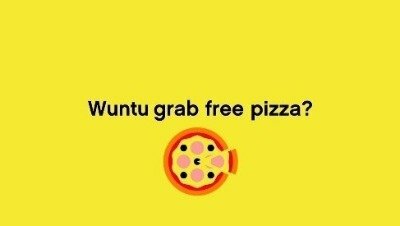 Three wins this with their Wuntu app – EE doesn’t currently have a customer reward application. Some networks have begun to offer subscription services or free data streaming to strengthen their offers. EE offer two premium services to customers with Apple Music & access to the BT sport app but these are limited to 6 months & 3 months respectively. With EE, you also get unlimited free streaming on Apple Music. However, Three goes a level up with ‘Go Binge’. This enables the users to gives you unlimited data on a number of free applications such as Netflix, Apple Music & Snapchat. These are available to Advanced plan and MBB customers but are available for the length of the customers contract. 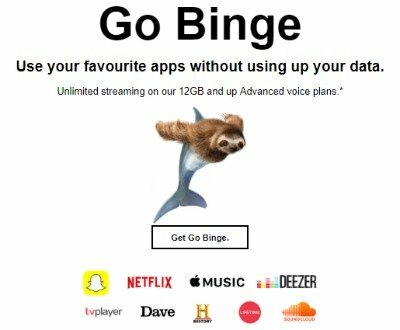 EE offers premium subscription services but only for a 3-6 month period – Three with its ‘Go Binge’ services offers free data streaming over the length of the contract and for that reason is our winner. On the network basics EE gets the nod with great coverage and super-fast 4G speeds but these also come at a price with EE being one of the more expensive networks in the UK. However, with 71 inclusive roaming destinations, the Wuntu app offering a number of discounts with popular brands and unlimited data streaming on popular apps such as Netflix, Three edges the perks. Couple this with a lower price point and Three is Half Cooked’s overall winner due to their great value for money. Previous articleVodafone Review (2019): Get free meal deals & discounts with popular brands through VeryMe rewards! Next articleO2 Vs Vodafone: O2 Priority Rewards or 77 inclusive roaming destinations?